Dramatic and fun architecture are found in this contemporary home. Located on Lock Two Rd. 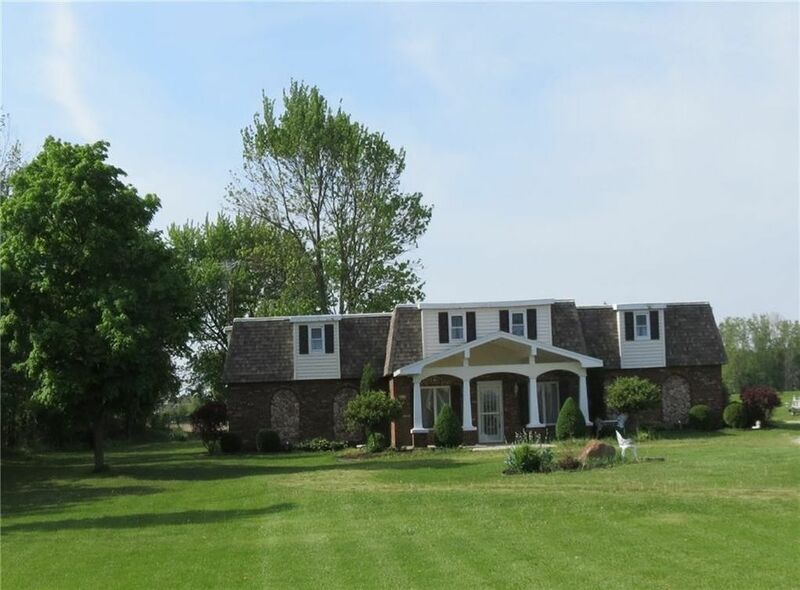 just outside of Botkins, this home is unique inside and out, is on nearly 3 acres with a stocked pond and shelter house or storage building. The open floor plan flows from the entry/great room to the dining room and on to the huge kitchen. The second great room is to the back with access to the first floor bedroom and bath and to the kitchen area. Upstairs has the master suite with a luxury bath, two additional bedrooms and the entrance to the stand alone apartment that has both an inside and outside access and offers a bed and bath, living/dining and a fully equipped kitchen. This home is neutral throughout and will fit almost any decor with added color. Not a drive by. Take the tour. Directions: North on Co. Rd. 25A to right on Lock Two / I-75 North to right on St. Rt. 274, left on Heiland Kies Rd., then left on Lock Two Rd.